Variables available in the Survey Interface (SI) from the CheckMarket Scripting Language (CSL). Use them to add dynamic content to your surveys, emails and notifications. 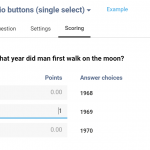 Create a quiz by adding scoring and points! Apply it in your HR surveys, use it as a classification in product or customer surveys, etc. When people answer a question, you can tell them if they got it right, or keep their scores to yourself. There are two ways to pass information (metadata) into a survey. Import it with your contacts by uploading, FTP, API or by using a query string. You can decide to let your respondents skip certain questions or pages. CheckMarket offers 2 techniques: branching and page display logic. Using querystring parameters, you can automatically prefill (hidden) survey questions. This enables you to add tracking codes or other identifiers to your survey without asking the respondent. 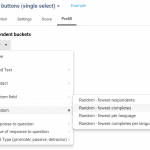 Page display logic allows you to show or hide pages for respondents depending on their previous answers or other meta-data. You can give each survey page a title. Once page titles are set, they are displayed when setting branches. 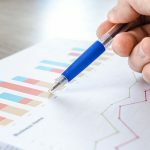 This can help when dealing with large surveys. Using variables in your surveys and emails allows you to create dynamic questionnaires which can be personalized for each respondent. Branching is used to have respondents skip certain questions that are not relevant to them. This allows you to create different routes through your survey.